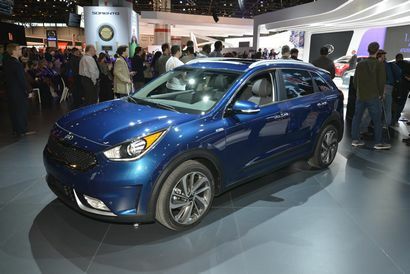 Kia Motors America has released pricing and trim level information on the 2017 Niro hybrid small crossover. 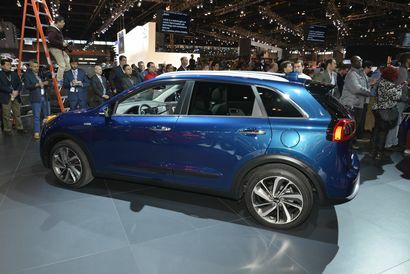 It's been nearly a year since the 2017 Kia Niro was unveiled at the 2016 Chicago Auto Show. Based on the same dedicated hybrid platform that underpins the Hyundai Ioniq, we've been given the model's specifications, but not much else. 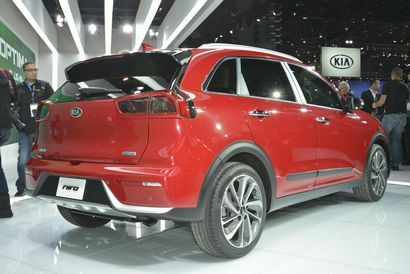 But following a press release yesterday from Kia, we now know everything from the trim levels that will be offered to pricing and at least a vague idea when it will reach dealers. At its introduction, the Niro will be available in four trim levels – FE, LX, EX, and Touring – plus a limited-production Launch Edition. Base prices will range from $23,785 to $30,545 for the four production trims, with the Launch Edition, which is based on the EX, priced slightly higher than that model. The Nero FE, priced at $23,785 (including an $895 destination charge), will be equipped with 16-inch wheels, power windows, keyless entry, cruise control, rear view camera, 7-inch touchscreen display, a 6-speaker audio system with steering-wheel-mounted controls, Apple CarPlay and Android Auto capability and Kia's UVO3 infotainment system. The Nero LX, starting at $24,095, adds a proximity key with push-button start, roof rails, and LED combination tail lights. 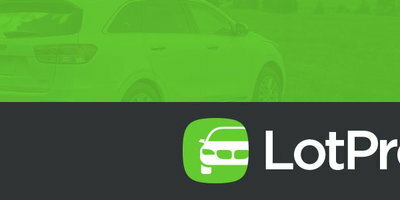 The LX Advanced Technology Package, priced at $1,450, includes forward collision warning, autonomous emergency braking, and a lane departure warning system. 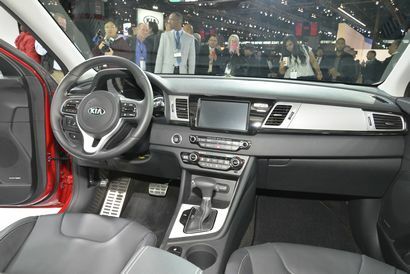 Stepping up to the EX, starting at $26,595, will get you heated cloth and leather seats, a leather-wrapped steering wheel, LED daytime running lights, heated and power folding outside rearview mirrors, fog lights, and a trio of active safety features – blind spot detection, rear cross-traffic alert and lane change assist. The EX Sunroof and Advanced Technology Package, with an MSRP of $2,300, includes a power sunroof, smart cruise control, forward collision warning, autonomous emergency braking, and a lane departure warning system. The Launch Edition, priced at $28,895, will be available in either a white or black pearl exterior color with special Hyper Gray-finished alloy wheels wrapped in Michelin rubber. 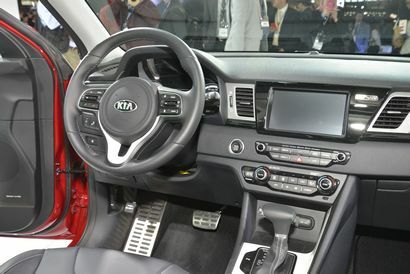 A unique metallic-finished grille, 10-way power driver's seat, an 8-inch touchscreen with navigation and an 8-speaker Harman/Kardon audio system round out the package. The Touring trim, with a starting price of $30,545, adds to the EX trim with a power sunroof, 10-way power driver's seat with memory, heated and ventilated seats and a heated steering wheel. Also standard is the 8-speaker Harman/Kardon audio system. 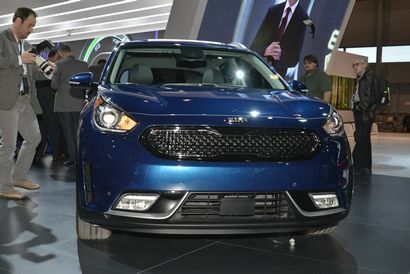 The Touring Advanced Technology Package, priced at $1,900, adds HID headlights, wireless phone charging and a 110 volt inverter, smart cruise control, forward collision warning, autonomous emergency braking, and a lane departure warning system. According to Kia, the Niro will begin arriving at dealerships "early in 2017."